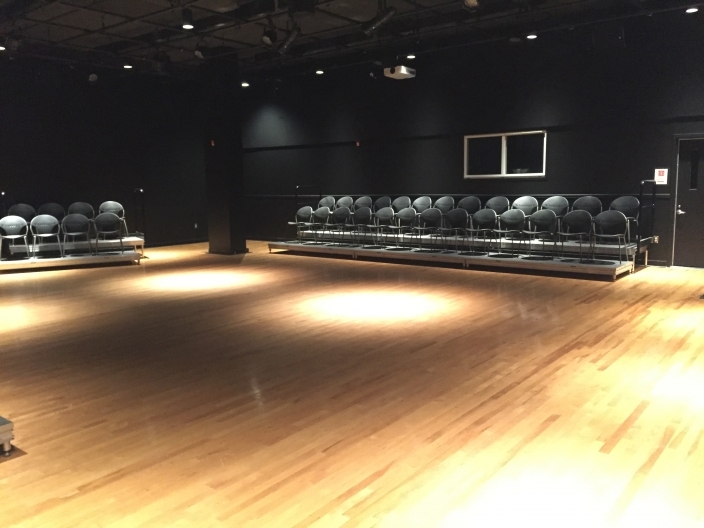 The Blackbox Theatre is a 1,600 square foot blackbox-style theater located on the B2 level of West Hall on Mount Vernon Campus. The theatre does not have a fly system, but does have a suspended grid. You are welcome to bring in your own set, but it must be approved by technical staff and you cannot hang anything on the walls. The theatre is equipped with a white backdrop suited for use as a projection screen. Please request use of the screen when you book your event to ensure adequate set-up time. A general lighting wash is provided with the option to include 100% wash, 50% wash, 25% wash, overhead house lights only, or full blackout. If you need other lighting designs, please request them when you book your event. 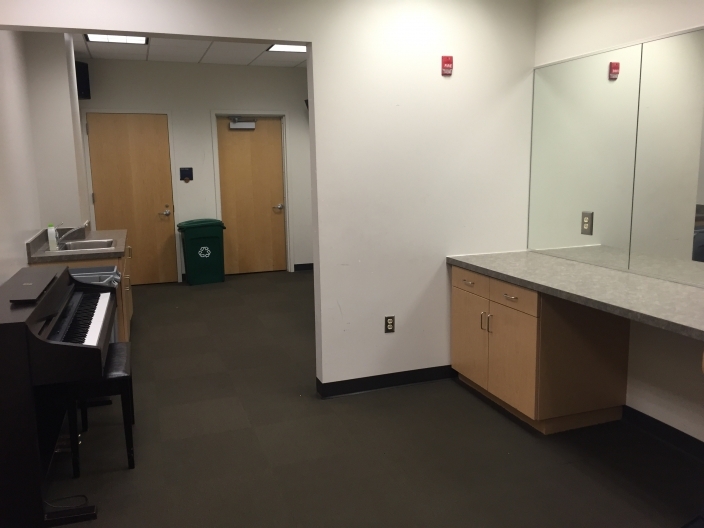 There is a green room backstage with two stage entrances just off of the theater. It contains two large countertops with mirrors, as well as a sink. Monitors provide an audio feed from the theatre. 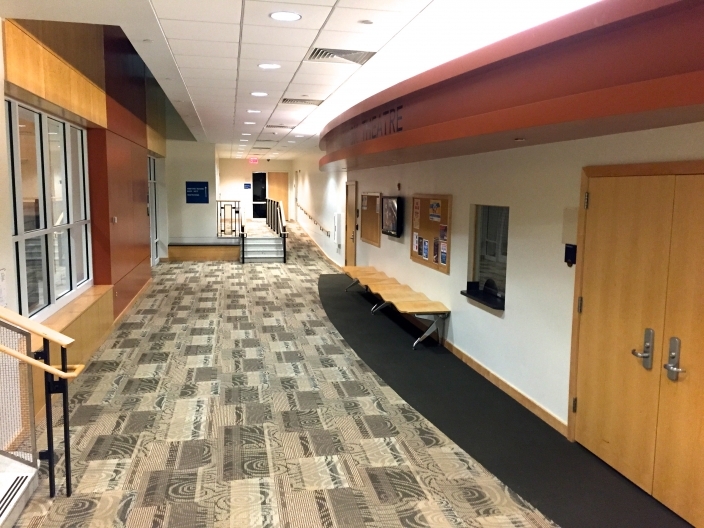 The green room also provides a route to the restrooms and water fountains without passing through the theatre. The maximum seating capacity for the theatre is 150 chairs. The standard arrangement includes three rows of stadium-style seating in a curved formation. 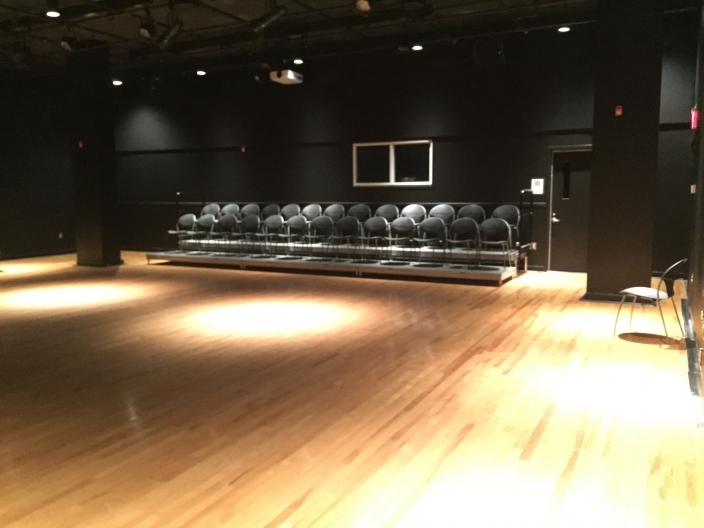 As a blackbox-style theatre, there is not a dedicated stage, which means the addition of more chairs will reduce the available space for a performance or presentation. Up to two rows of chairs can be placed on risers to create a stadium-seating feel. 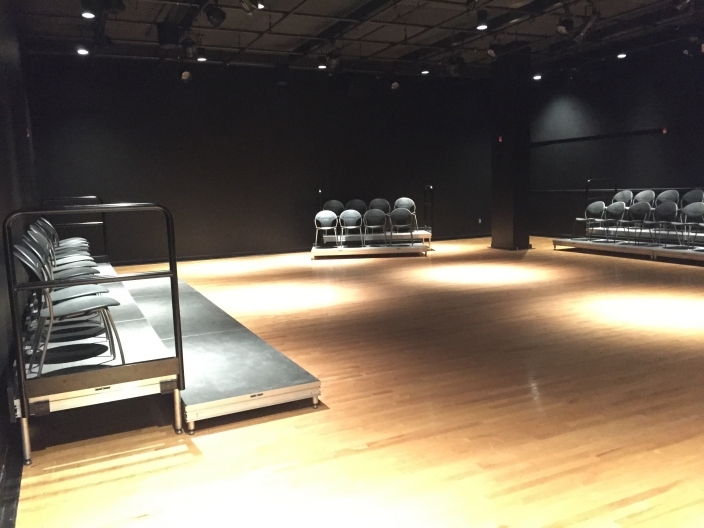 Blackbox Theatre as a vacant space with minimal setup. Pre-event setup with some available risers. Views of the control room. 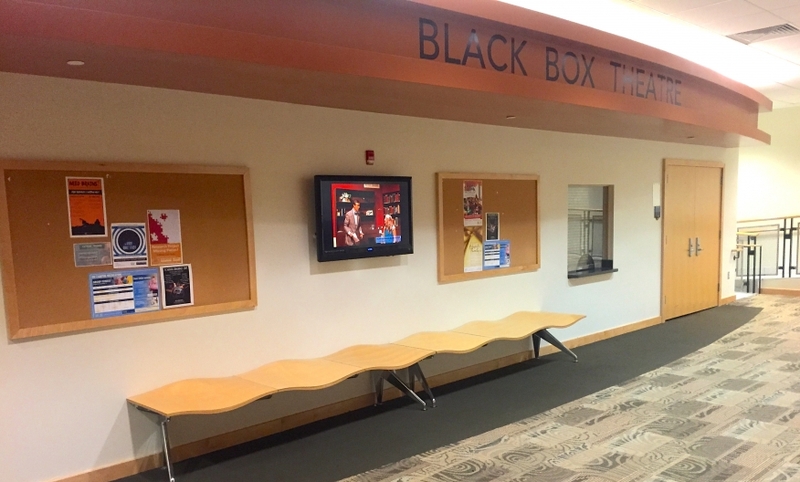 Exterior view of the Blackbox Theatre on the B2 level in West Hall. Directly across from the theater is the B2 Gallery room. View of the multi-purpose green room. Alternate view of the Blackbox Theatre exterior.